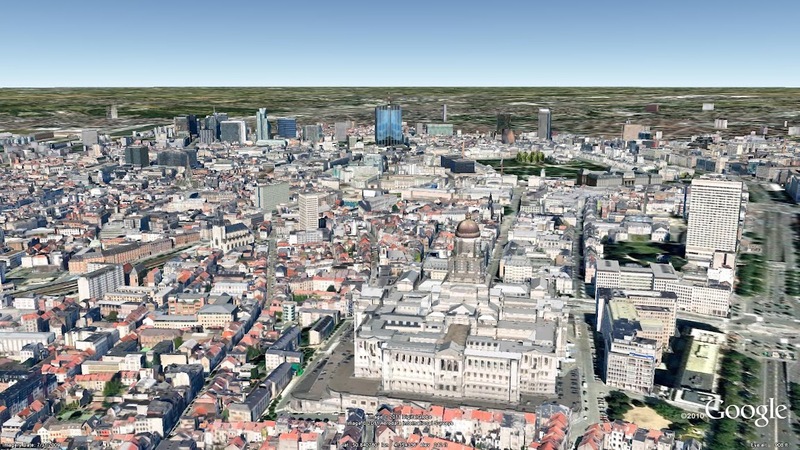 Several thousands of 3D buildings have been added to the city’s map. 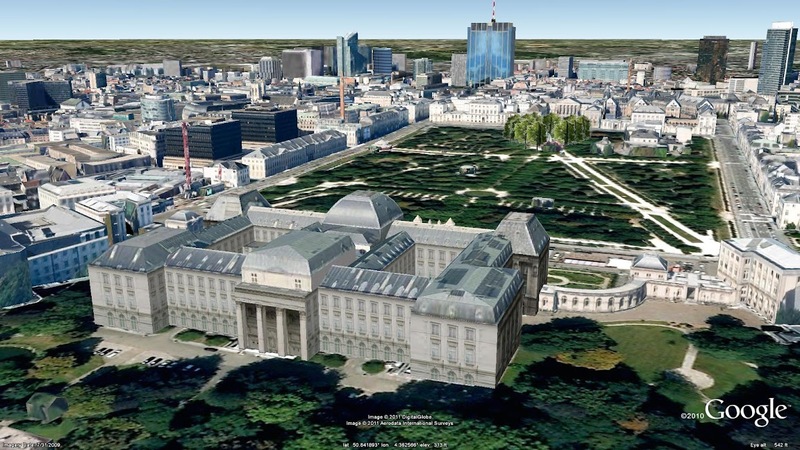 Using Google Maps with Earth view or Google Earth’s “3D Buildings” layer, you can now visit the city to experience its rich architectural history. See the KML tour in the Google Earth Gallery to take a virtual tour of the 3D landmarks for yourself. The place to start is the Grand Place / Grote Market, Brussels' central square. Its 17th century landmark guild houses are richly decorated with sculptures, gables and gold patterns and are said to hold the secret formula of alchemy engraved in its facades. From there, you are only a virtual stones-throw away from the Royal Palace and its neo-classical Place Royale, which was built upon the ruins of Charles Quint’s palace and housed the famous Order of the Golden Fleece's treasure. Today, you’ll find the Magritte museum there, beautifully presenting the life and work of one of the world’s best-known surrealists. Swivel around to see the impressive Palace of Justice, Brussels’ law courts which presides over the city skyline. En route you will pass the Notre-Dame-du-Sablon church, one of the finest examples of Gothic architecture in the city. The next stop is the Cinquantenaire Jubilee Park with its arch built in 1880 to celebrate the 50 years of independence. The large warehouses you see next to the arch used to hold the Mundaneum: the largest historical attempt to categorize and organize the world’s knowledge and make its accessible to all, back in 1900. Perhaps the most well-known landmark in Brussels is the Atomium, an all-metal building built in 1958, in the shape of an iron atom magnified 165 billion times. 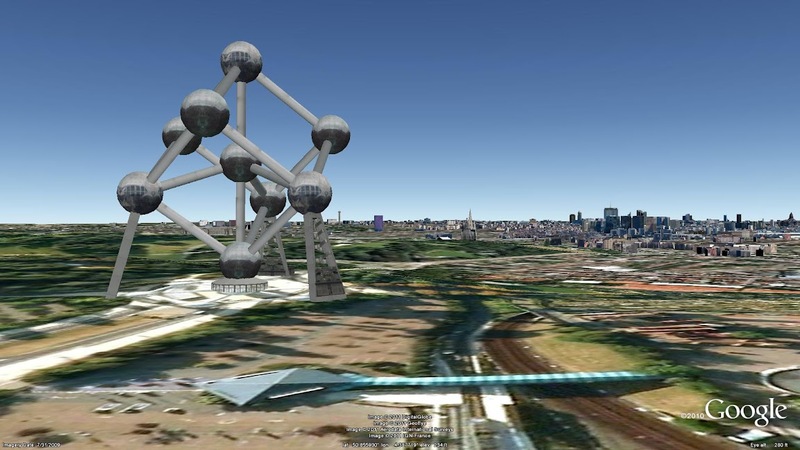 From the Atomium, turn around and look back for the best panoramic view on Brussels. Before leaving Brussels, stop by the European Parliament where 27 nations are slowly but surely morphing into a prosperous and peaceful union. 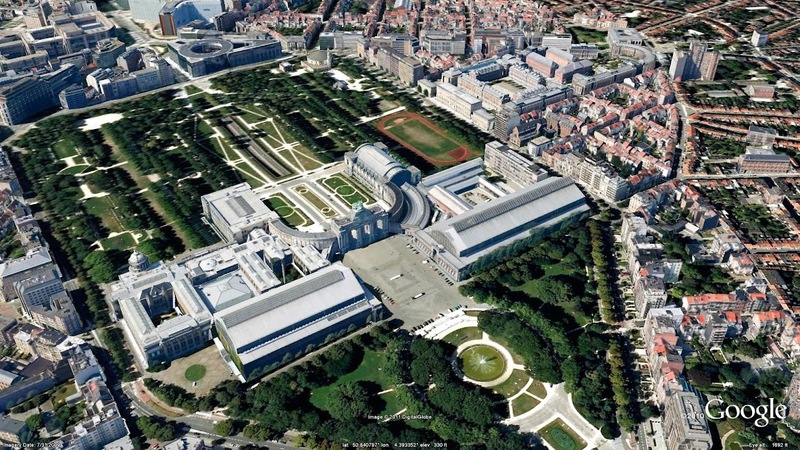 Google Belgium’s office is located nearby, can you spot it? 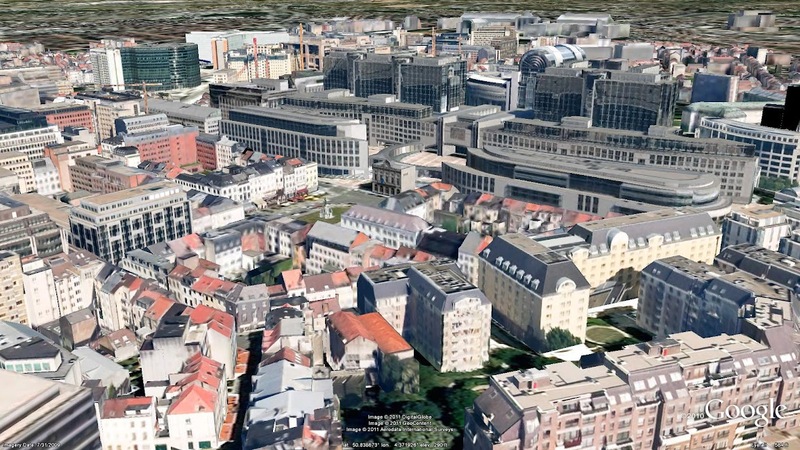 When you’re finished touring Brussels in Google Earth, head north to Antwerp, where citizens are actively modeling their city with free 3D tools from Google. You think this is cool? If you’d like to get started modeling your town, you can get started quickly with Google Building Maker (where available). Brussels is one of Europe’s best kept secrets. As Belgium’s charming capital city, many have enjoyed living there, ranging from Victor Hugo and Karl Marx to Jean-Claude Van Damme. 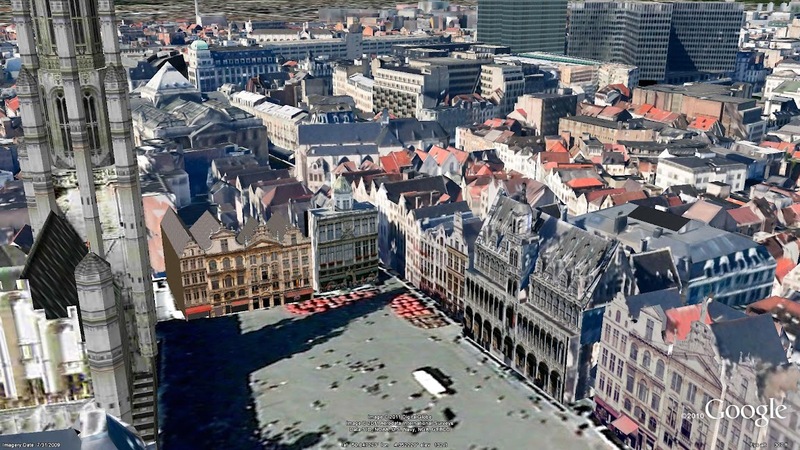 Now, you can discover the riches of Brussels in a virtual 3D visit with Google Earth.